Margaret Thorsborne AO. Photo Rob Parsons. 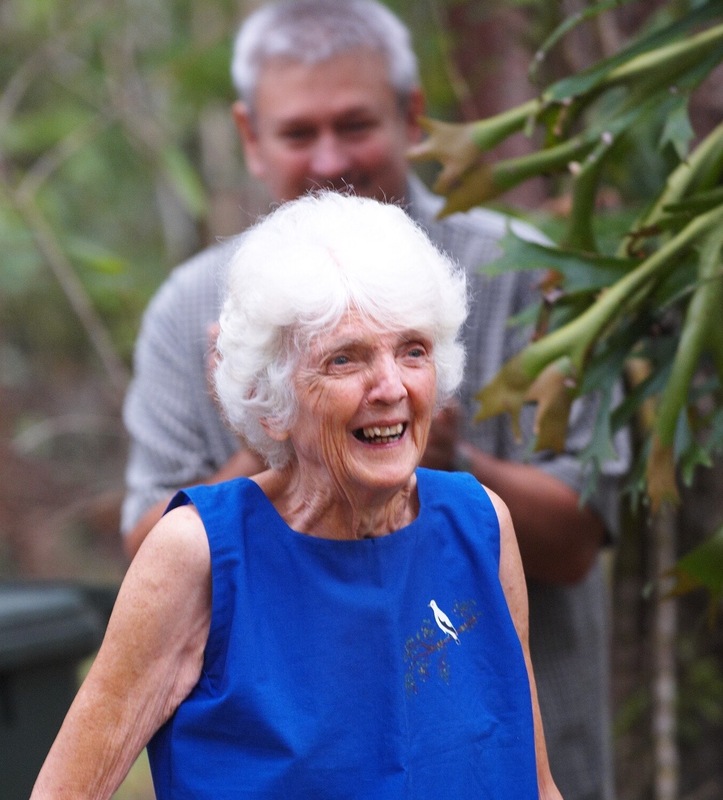 With the passing of Margaret Thorsborne we mourn the loss not only of our Society’s patron and one of its longest-serving members, but also one of Queensland’s most revered and beloved champions of our wildlife and natural heritage. The couple were the first to bring attention to the plight of the Torresian imperial-pigeons that were being shot out of existence at their breeding colony on North Brook Island and in 1965 they began annual counts of the colony, starting what has become one of the world’s longest-running wildlife population surveys. Their actions to stop illegal shooting and protect the coastal forests on which the pigeons depended, saw the colony increase from under two thousand birds in 1968 to an average of between thirty and forty thousand birds by the turn of the century. The survival and recovery of this colony over the last 53 years is testimony to the Thorsbornes’ own commitment and their capacity to inspire and engage others within the community to join their endeavour. 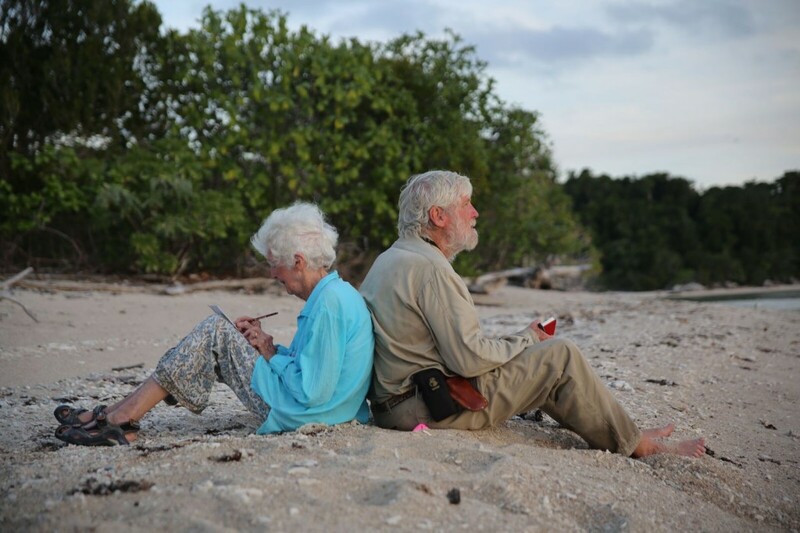 This remarkable story is told in the 2015 documentary The Coming of the White Birds. Margaret releasing a Mahogany Glider. Photo Suzanne Smith. Margaret’s extensive and dedicated efforts brought numerous awards culminating in her investiture as an Officer of the Order of Australia in 2011. 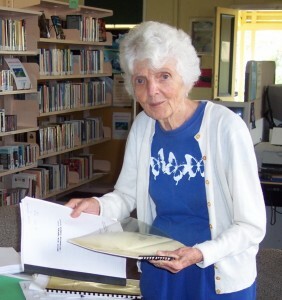 She became WPSQ patron in 2000, a most worthy successor to the Society’s founder, the late Judith Wright, and has been granted life membership of many environmental organisations. Busy preparing another submission. Photo Margaret Moorhouse. 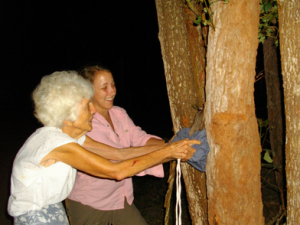 Margaret lived her life simply, with grace and humility, in absolute accord with her conservation principles – yet her influence was felt far beyond local boundaries. Indeed, where her work advanced the cause of threatened species, migratory birds or World Heritage areas it was of national and international importance. Margaret represented the epitome of what it is to be passionate, inspiring and committed and her life will long remain as an outstanding example of service to country and community. Margaret and long-time friend John Winter count the pigeons at North Brook. Photo Bryony Barnett.